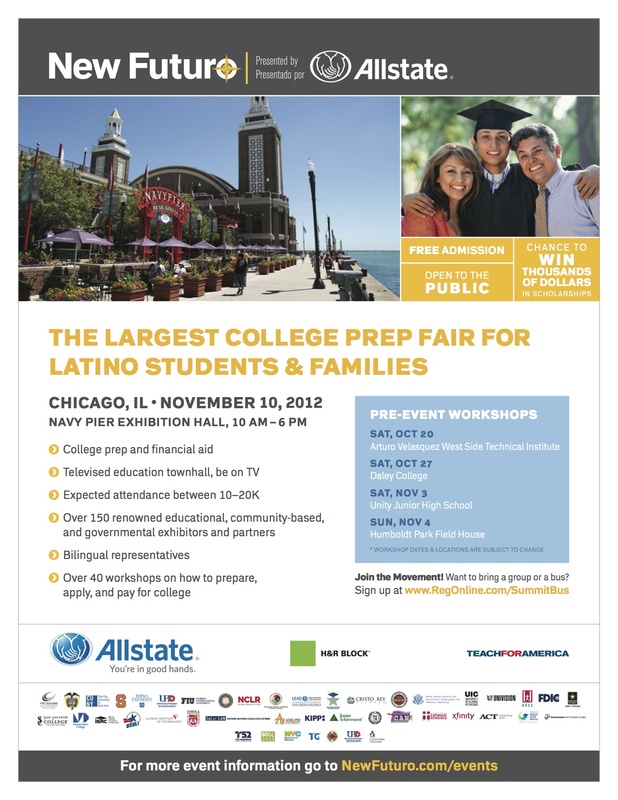 THE LARGEST COLLEGE PREP FAIR FOR LATINO STUDENTS & FAMILIES COMES TO CHICAGO! New Futuro is hosting 3 more bilingual Road to College Workshops leading up to Chicago’s Largest Free College Prep Fair for Latinos on November 10, 2012 at Navy Pier. Thousands of dollars in scholarships, information and other resources will be given at these events. YOU CAN WIN $1,000 AT EACH WORKSHOP! You are currently reading Chicago Teens: Learn how to prepare, apply, and pay for college at Maya Talk.